An edible crustacean, Homarus americanus refers to the species found in the North Atlantic..
Read More aboard small boats in shallow water. Lobsters must be cooked immediately after they die, so without plentiful ice or fast transport to markets, lobsters weren’t important economically. In colonial times, they were most frequently used for bait or fertilizer. On a fishing boat a well or tank exposed to the sea, in which live catch can be carried. 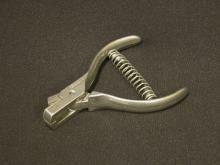 for carrying live lobsters. The smack allowed fresh lobsters to be delivered to Boston or New York, and the market grew. 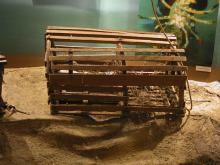 An early style lobster trap. 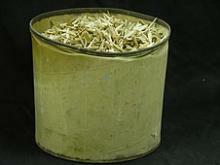 Another word for trap is pot..
By the 1880s lobsters were being overfished. 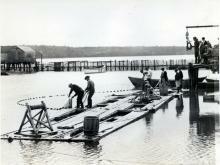 Twenty-three canneries processed over 9 million lobsters, and many said the fishery had peaked in the 1870s. Maine imposed strict regulations limiting the catching of female lobsters, shortening the fishing season, and limiting allowable size range. By 1895 all lobster canning had moved to Canada. 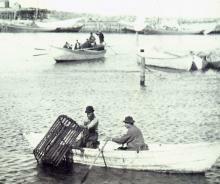 Similar restrictions today have preserved the lobster fishery while supporting record catches. 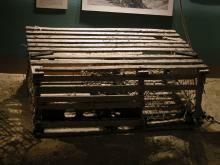 In lobstering, the second compartment in a trap into which lobsters crawl to try to escape from the kitchen, the section in which the bait is placed.. 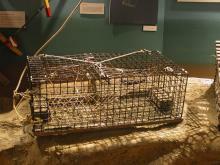 Surprisingly, lobster traps allow about 90% of their catch to escape! A floating object designed for a special purpose often anchored to the sea bottom. Buoys range in size from large navigational buoys to lobster trap buoys., painted in a lobsterman’s distinct colors, marks the location of the warp, and a matching buoy is mounted on the lobster boat’s cabin. In Maine, the notch required to be cut in the tail of a female egg-bearing lobster. the tail so other lobstermen can easily tell it is a breeding female even if it is not then carrying eggs. Most marketable lobsters are at least 6 years old. 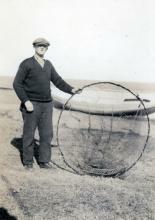 In fishing, a measuring device to determine if the catch is of legal size. to measure the lobster. He then places strong rubber bands around the lobsters’ claws to keep them from attacking each other. The lobsterman then refills the bait bag and resets the trap. A body of water that is enclosed by a fence in which lobsters can be temporarily kept, generally awaiting a better price or shipping. Some buyers have created large tanks, artificial lobster pounds. allow merchants to keep the lobsters alive until sold to stores, restaurants, or the public. Organization based in Friendship, Maine dedicated to "sustaining a thriving lobster fishery through science and community." Programs include various educational programs, a juvenile lobster monitoring program, and a sonar tracking project. and Lobster Institute provide primary research into Maine’s most valuable fishery. One of the objectives is to monitor the health of the fishery to prevent crashes which have decimated other fisheries. Maine is working hard to get neighbors like Canada and Massachusetts and the Federal government which has jurisdiction outside of three miles off shore to adopt the stricter conservation standards such as sizes limits and V-notching. The fishery is now highly productive, more so than it has ever been. Will it last? Click here to view lobstering images from PMM's photo collection.